Does your mouse hover over the Reply All button 30 seconds longer than it should? Do you cringe when you're added to a never-ending email thread you shouldn't have been included on in the first place? Do you cry a single tear of joy when someone appropriately BCCs you? If you answered "yes" to any of the above scenarios, you know the importance of Reply, Reply All, CC, and BCC etiquette. Below, I'll dissect common email situations and explain how to answer the age-old question, "How can I piss off the least amount of people by replying to this email in the correct way?" And if you'd like to learn how to CC, BCC, and Reply All in Gmail, click here to jump to the how-to section. 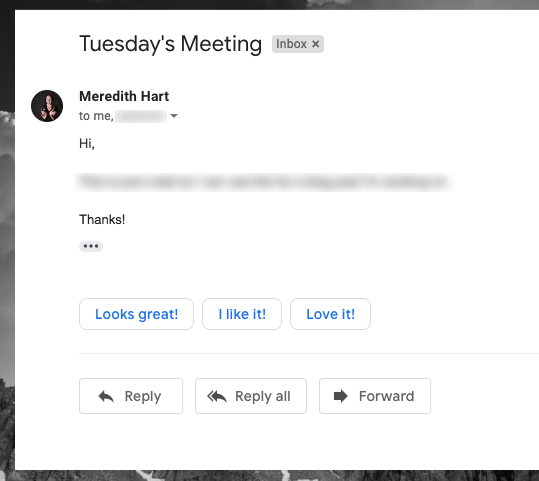 A Reply is when your email goes to a single person -- either the person who sent the original email or the person who sent the last message in the thread you're responding to. Reply All is when you respond to everyone on the thread. Other recipients will see a message you Reply All to, whether they're in the "To" or "CC" fields. 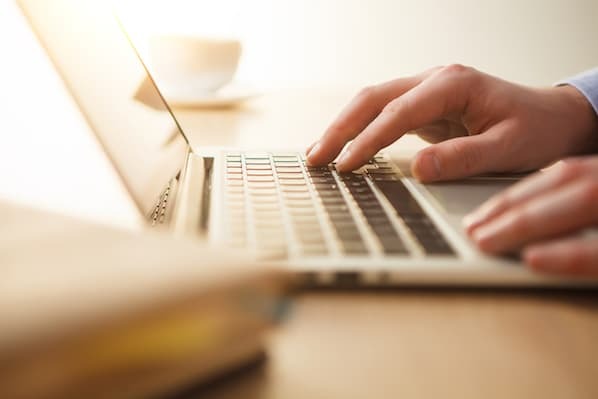 Use Reply when you only want to send your message to a single person in an email thread -- either the original sender of the email or the last person to reply in the thread. 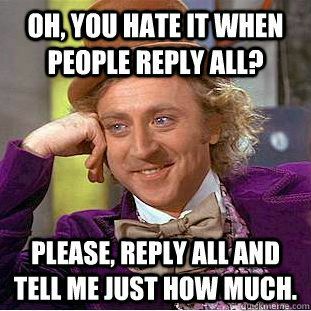 Reply All when you want to respond to every contact on the thread. Is the email addressed to me? Does more than one person need to know the email was responded to? Will the other recipients be confused if they don't see me respond? Does the email impact 70% of people on the chain? Do the others need to remain on the chain? If an email is addressed to you but only one person needs to know you responded, or if you know no one else will be confused if they don't see your response, go ahead and reply to one person. If your response will impact at least 70% of the people on the chain, if others will be confused by not seeing your response, or if others on the chain need to remain looped in, Reply All. If a coworker gets promoted and her boss sends a department-wide email with the news, reply directly to your colleague with congratulations. Similarly, if your CEO sends an email announcing the company crushed quarterly goals, there's no need to Reply All with a "Hooray!" or "Way to go, team!" If you have a question or comment for your CEO, reply directly to him or follow up on a separate chain. Reply All is helpful when you're on an email chain full of people working together on a project. Everyone has access to the same information, and you can see comments and updated in real time. If you're on an email chain where others might have a similar question or your manager solicits feedback from everyone in the group, you might have identified a scenario where Reply All would be appropriate. But please, spare your coworkers by resisting the urge to Reply All to your boss's "I'm heading out early for a doctor's appointment" email with, "That reminds me, anyone out there have a Dentist they love?" That's what Google is for. CC and BCC are used to include additional recipients on an email. Use CC when you want the CC list to be visible to all recipients and you'd like to start an email thread with them. And use BCC if you want to add recipients to the email, but keep the contacts on the BCC list hidden from everyone included on the email. Below we'll take a look at when you should use CC, and when you should use BCC. What Does CC Mean in Email? CC stands for Carbon Copy. 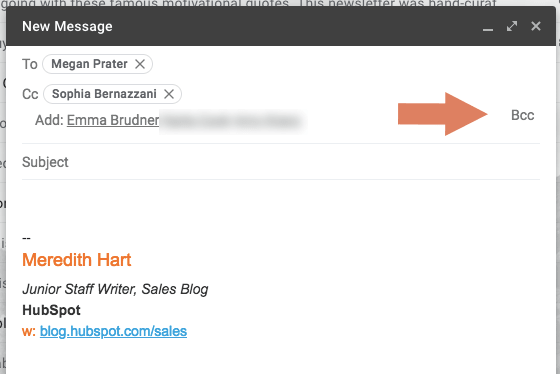 When you CC a person on an email, the CC list can be seen by other recipients on the chain. Hitting Reply All ensures the CC'd person receives future emails that are part of this thread. If your response will influence other people's decision making or current thread recipients should know others are looped in, go with CC or Reply All. 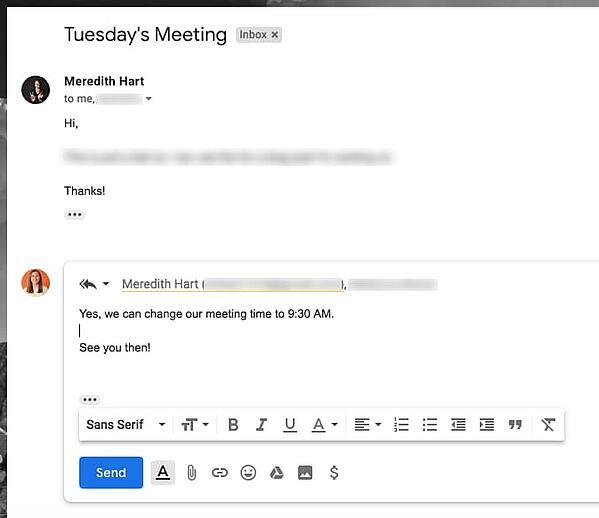 What Does BCC Mean in Email? BCC, or Blind Carbon Copy, is when the recipient is sent an exact copy of the message but their email is hidden from others. This prevents them from receiving future emails on the thread. Here's a quick description of how BCC works. 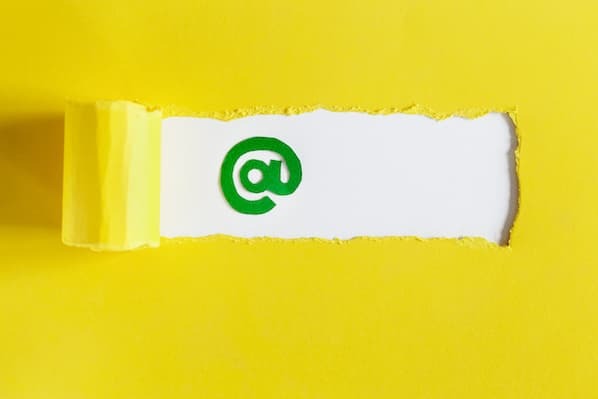 When an individual sends an email to a contact and BCC's additional contacts, the sender's email system will hide the BCC list from all of the email recipients. The BCC list will be hidden from everyone added in the To, CC, and BCC fields of the email. This is how the privacy of the BCC'd contacts is protected. 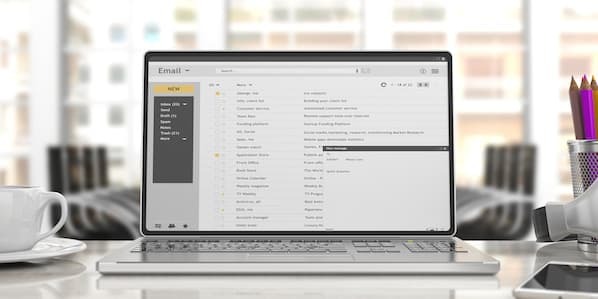 If a colleague introduces you to another salesperson over email, you wouldn't Reply All because that will include your colleague on all future correspondence between you and the person they simply wanted to connect you with. However, you also don't want to remove your colleague from the thread without notice. Then you leave them wondering if you ever followed up or if you got their email introduction at all. Your colleague knows you responded, which removes any lingering doubt about whether you followed up. You've also saved them from an email chain they don't need to be included on moving forward. Okay, easy. But what about every other situation? A new employee is introduced to your team. Do you Reply directly to them or Reply All to everyone on the thread? Your team is planning an event. Do you Reply with your thoughts to the organizer or everyone that will be impacted? You have a specific question to ask in a thread but only one person specializes in this field. What now? These scenarios are when the lines get blurred. That's why we built this easy-to-reference flowchart for quickly understanding when to Reply, Reply All, or BCC. 1. Click "Compose" to create a new message. 2. Click "CC" on the right-hand side of the email composer. 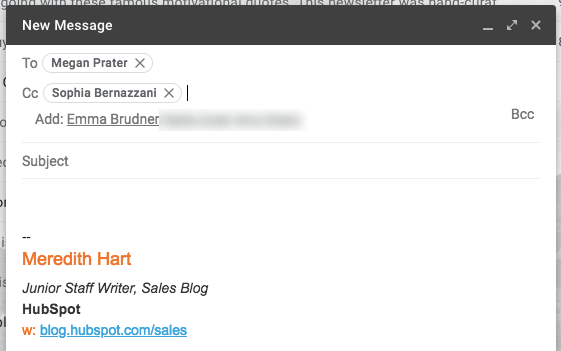 Add a recipient in the "To" field, and then click "CC" to add a contact to the CC list. 3. Add a recipient to the "CC" field. Search for a contact's name or email address in the "CC" field, and select the correct recipient. When you add a recipient to the CC list, it will suggest additional contacts. You can also search for more contacts and add as many as you'd like. 1. 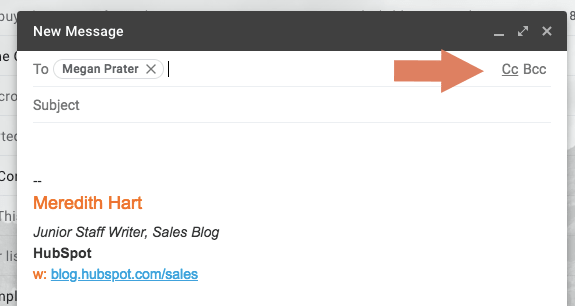 Click "BCC" in the email composer. 2. Add contacts to the "BCC" field". 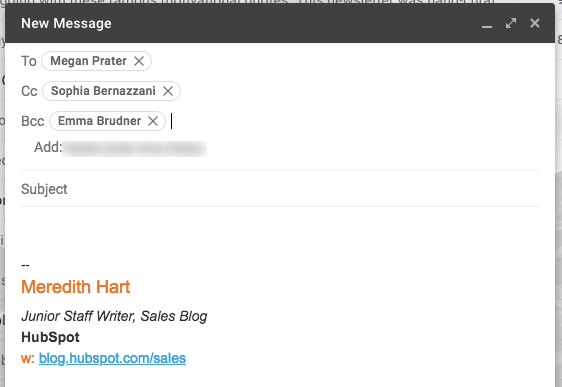 When you're ready, add your subject line, email body, and hit the "Send" button. 1. Click on the email you'd like to Reply All to. Once you click on the email, it will open up the email thread. 2. Scroll to the bottom of the thread and click the "Reply All" button. 3. Type and send your reply. After you've proofread your message, click the "Send" button, and you've successfully replied to all of the contacts in the email thread. The Reply All meme is a visual representation of people's disdain for you when you Reply All in the wrong context (i.e., When you get an email that there's leftover food in the kitchen and Reply All with, "Someone grab me a cupcake!"). Save everyone the misery of a Reply All ... and get your own cupcake. We've all been on both sides here, let's make the email world a safer place and use these reply options appropriately. 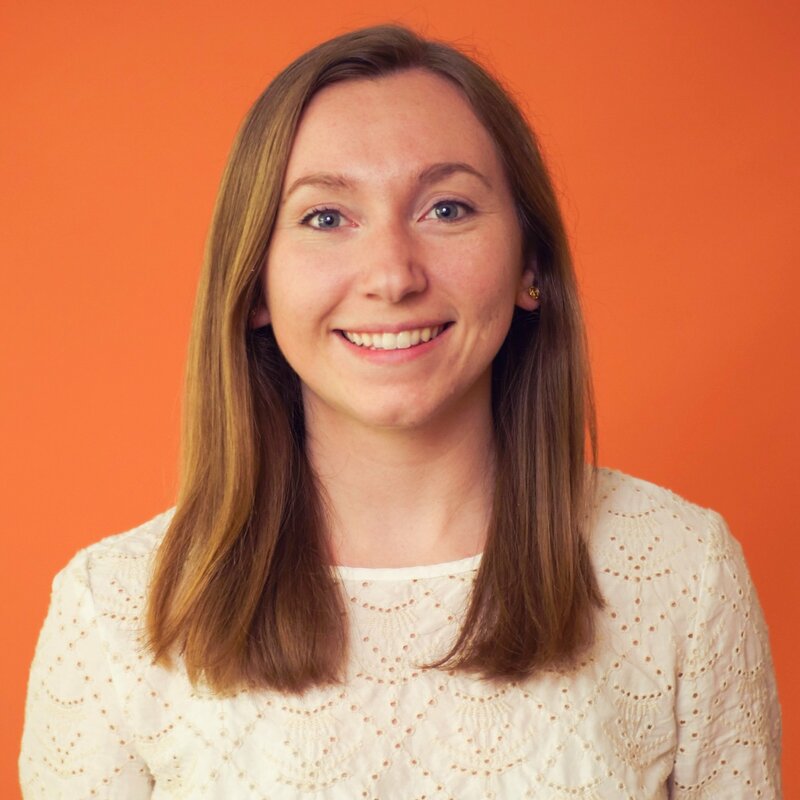 To learn more about email etiquette, check out these email etiquette tips next.